Smarter Loans > What Factors Do Bad Credit Lenders Consider Most Important? What Factors Do Bad Credit Lenders Consider Most Important? Bad credit is typically considered any credit score lower than 600. People who have been through a difficult financial period that left them with lower credit ratings may believe obtaining financing for vehicle is out of the question. In truth, there are lenders who offer bad credit loans in Calgary, Alberta. Many of those lenders provide terms that are better than the consumer would expect. Bad credit loans are lending arrangements that are extended to individuals and companies with lower credit ratings. Generally, the loans are tailored for those who have a credit score of 600 or less. The loans are intended to provide financing for individuals who are in the process of rebuilding damaged credit but cannot comply with the qualifications set by more traditional lenders. FICO or credit scores are one of the first factors traditional lenders will consider. 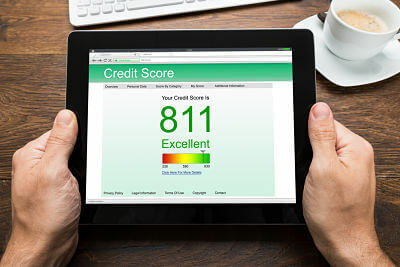 If the scores obtained from any of the three main credit bureaus (TransUnion, Experian, and Equifax) are below the standards set by the traditional lender, the application is rejected. Bad credit lenders often do request reports from at least one of the major credit agencies. The difference is that a lower credit score does not mean the application is immediately rejected. Instead, the lender will focus less on the score or credit history, and more on how the applicant is currently doing financially. Most Recent Credit History – excellent payment history with ongoing obligations like rent, mortgage payments, and utility bills over the last couple of years carries a lot of weight. Monthly Net Income – reasonable income would allow the debtor to continue honoring current obligations and make the loan payment without a great deal of financial distress. If there are other factors the lender looks at closely, those will be revealed to the applicant in advance. That makes it easier to determine if submitting an application is worth the effort. Not all bad credit lenders will report payment histories to any of the major credit bureaus. Loan applicants would do well to confirm that frequent updates are submitted to at least one agency. Doing so will help improve the credit score over time, and make it possible to qualify for loans with lower interest rates in the future. When used wisely, a bad credit loan can make it possible to move forward financially and expedite the process of repairing damaged credit. Working with a provider who has access to multiple lenders will make it easier to find the one who is a good fit for the applicant.